At GAP, we run camps and clubs for ages 3 and upwards. Clubs and camps are open to children and adults with a diagnosis of autism and also those undergoing or awaiting assessment for autism. We also occasionally run our Super Siblings club for siblings of children and adults with autism. Our clubs and camps are primarily social clubs with activities organised by facilitators and volunteers. 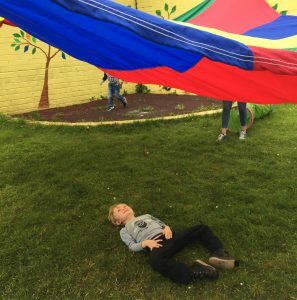 These activities may include art, outdoor play, sensory play, baking, music, yoga, walks and nature activities. GAP also runs special interest clubs for our members. 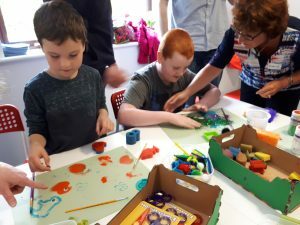 In the past these have included Brickx (Lego) club, Film Production, Radio Production, Play Therapy, Art Therapy, Personal Development through Drama, Golf Lessons and Music and Movement classes. If you would like to see a special interest club being run, please contact us and we will always do our best to facilitate it, subject to resources. Clubs and Camps operate dependent on our financial and human resources, along with the demand from our members. In line with good governance, GAP contacts its members before each new term to obtain expressions of interest from our members. This helps us to manage our resources efficiently and effectively, but also ensures that there is parity and fairness for all members. Our members are welcome to contact the office if there is a demand for a club or camp in their area. Facilitation of clubs and camps will be subject to the resources we have available at the time and in that location. We would love to run GAP clubs in all areas in Galway but to do that we need help. In order to run a club, we need 6 participants, a suitable location and a team of volunteers to work alongside the facilitator. If you would like to see a club being run in your area and you are willing to help with the logistics, we’d be delighted to hear from you. GAP will provide vetting and training for all volunteers and will organise a facilitator for the club. All of our clubs and camps rely heavily on volunteers to help support the participants. Without the appropriate number of volunteers for a club or camp, it cannot run and all clubs and camps are subject to cancellation dependent on volunteer numbers. All our volunteers are Garda vetted, complete Children First training and attend an induction session. Your child’s/family member’s health and well-being is our utmost priority. Please note that for clubs involving children under 6 years, GAP is required to apply to TUSLA under Child Protection regulations for a license to run such a club. Currently, we are unable to provide Junior clubs outside of our premises in Newcastle. Junior Clubs (3 – 6 years) operate with a higher adult to child ratio – we aim for one adult to one child, as children in this age group tend to have higher care needs and often may need personal care too.